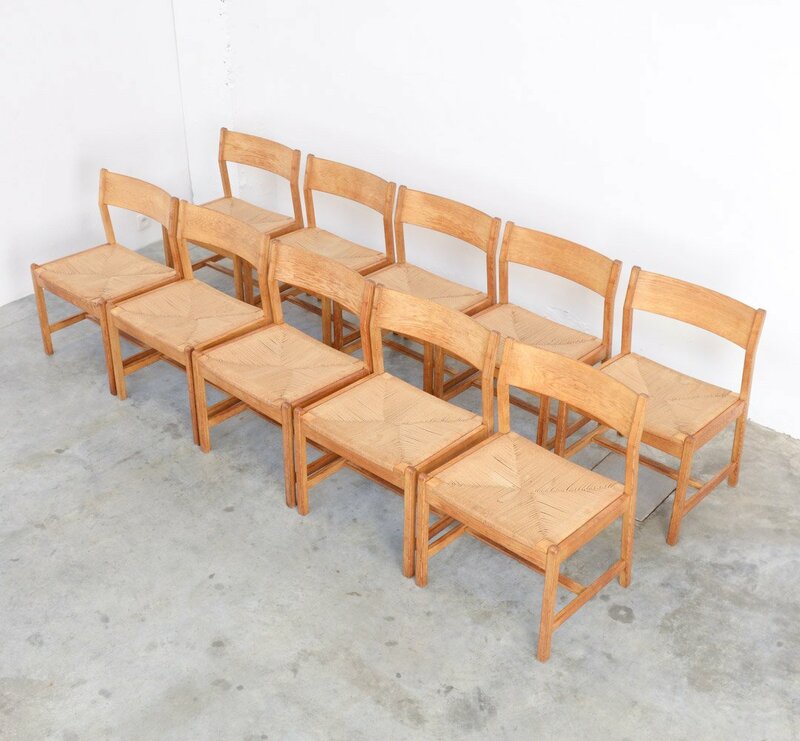 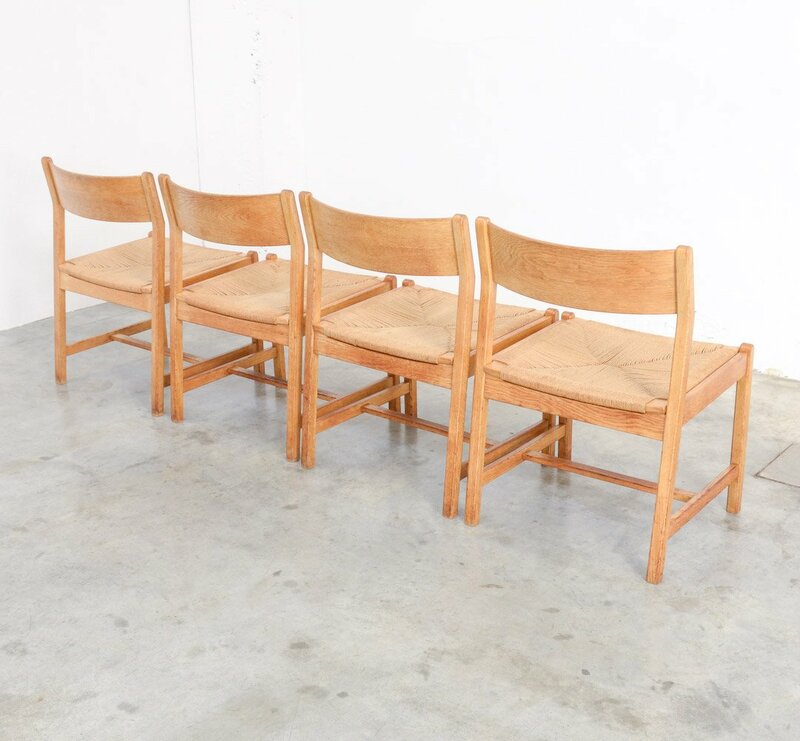 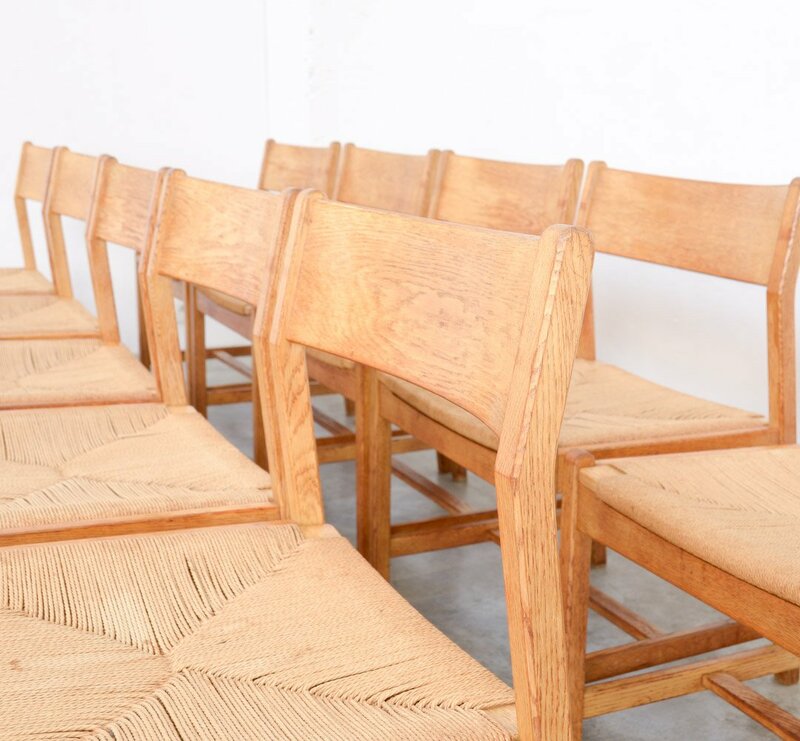 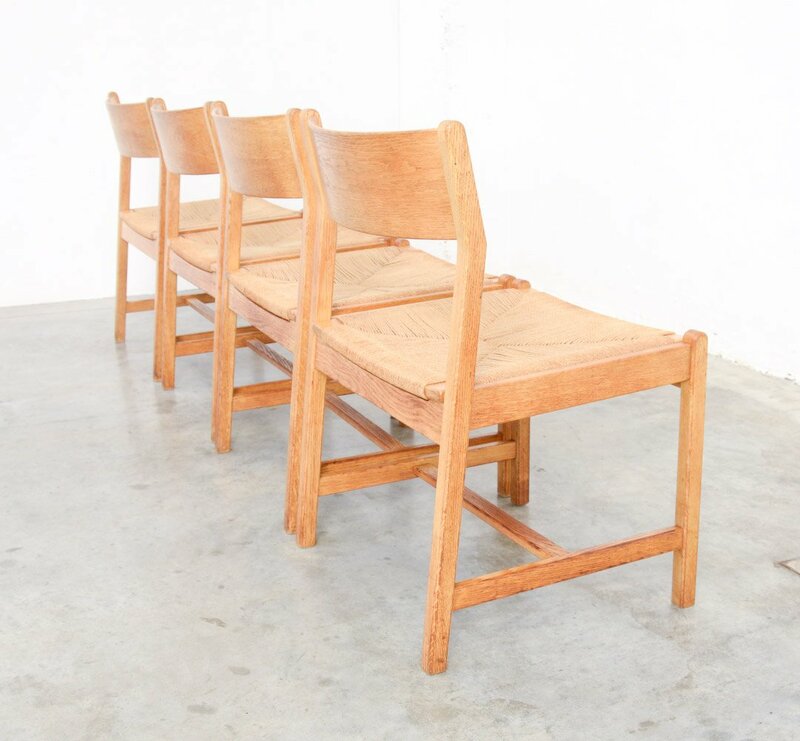 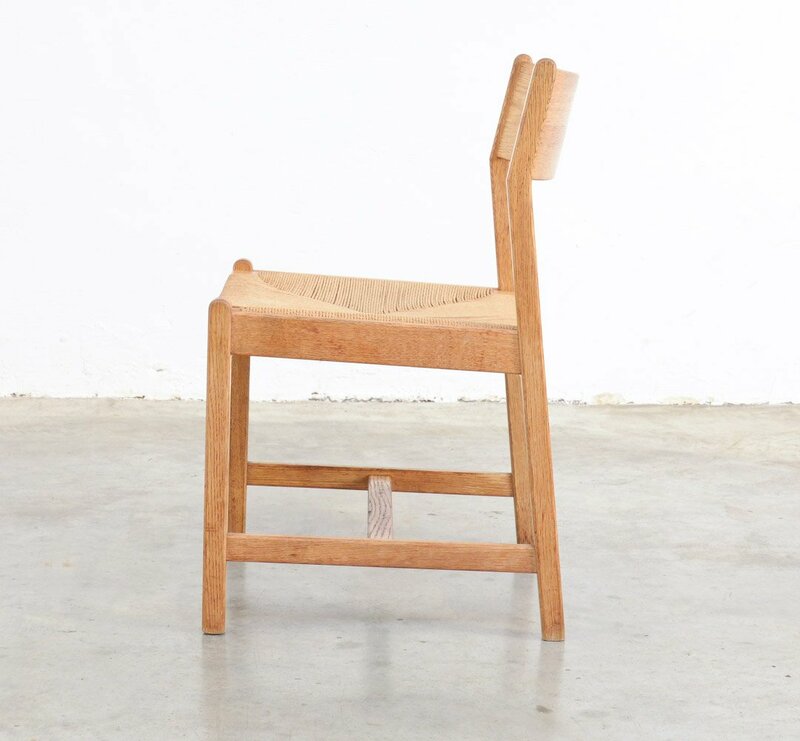 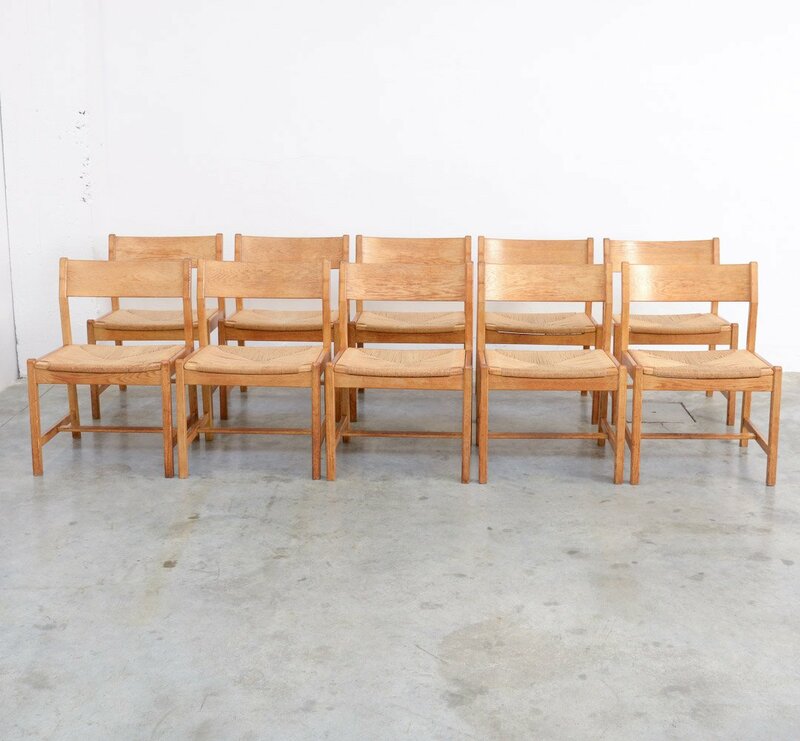 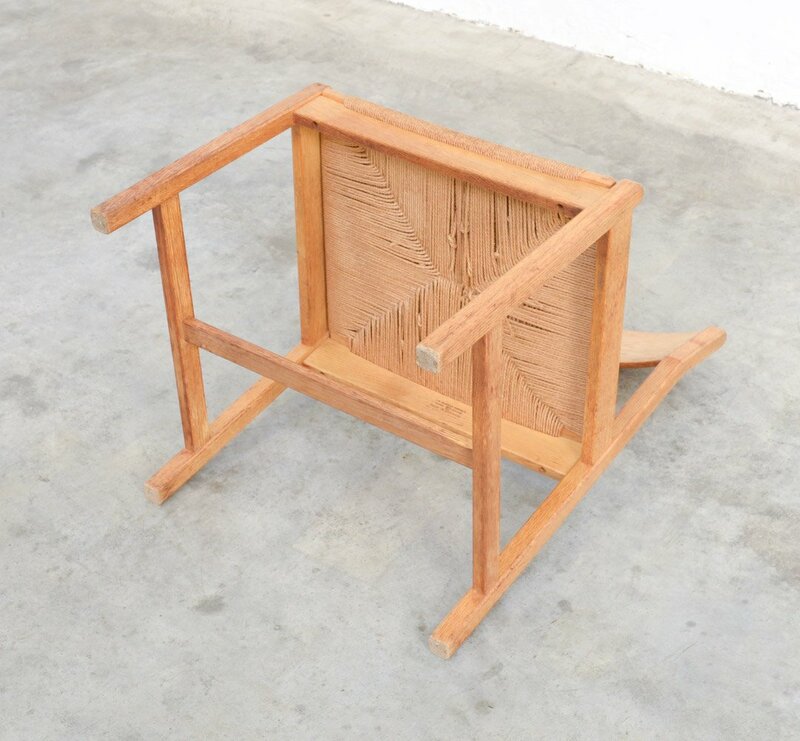 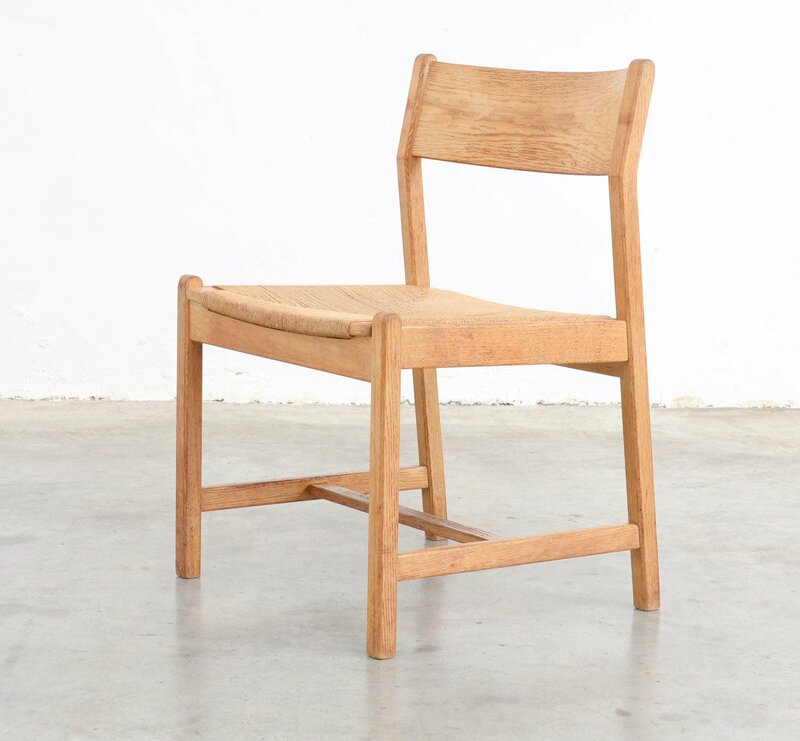 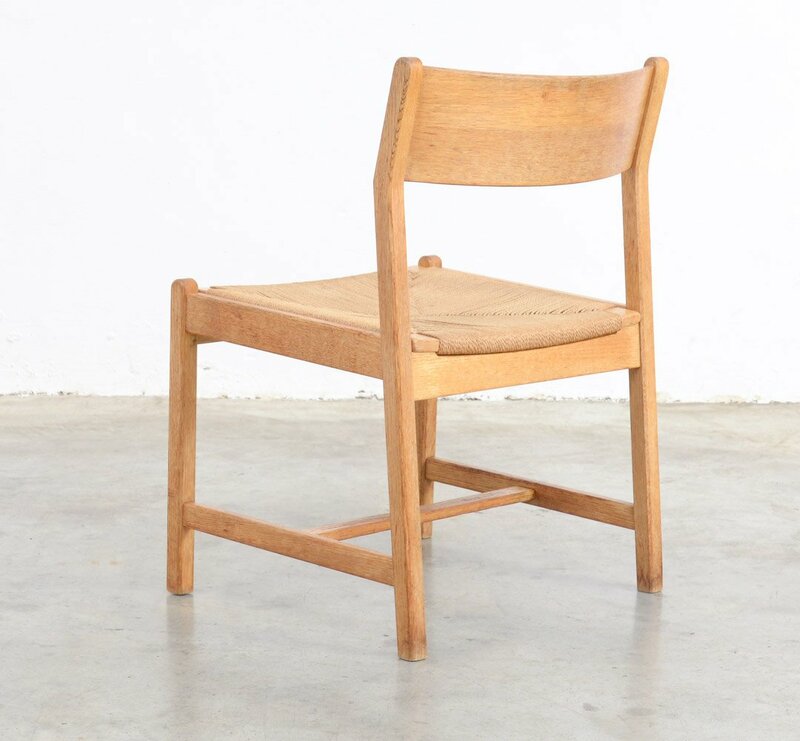 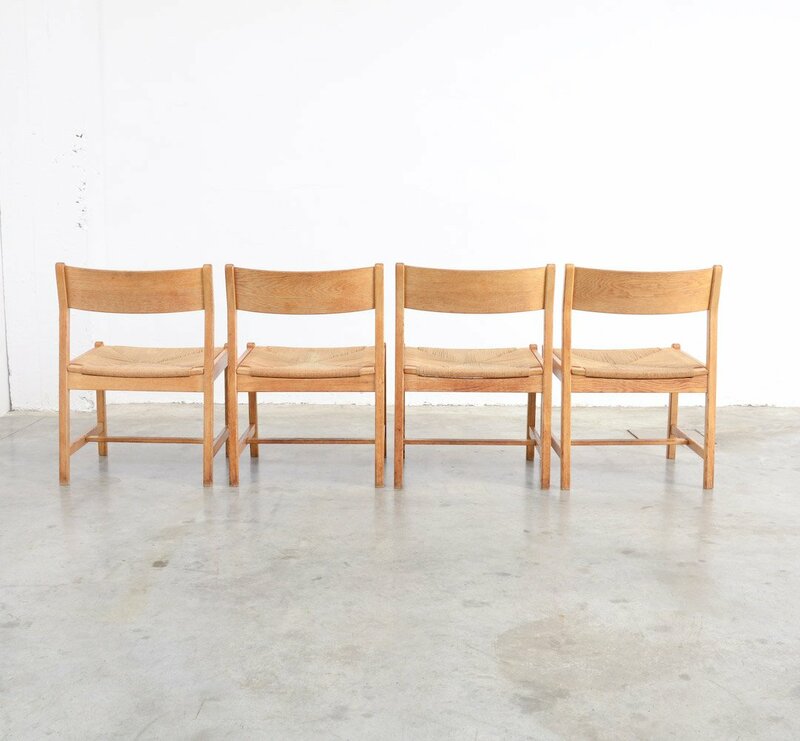 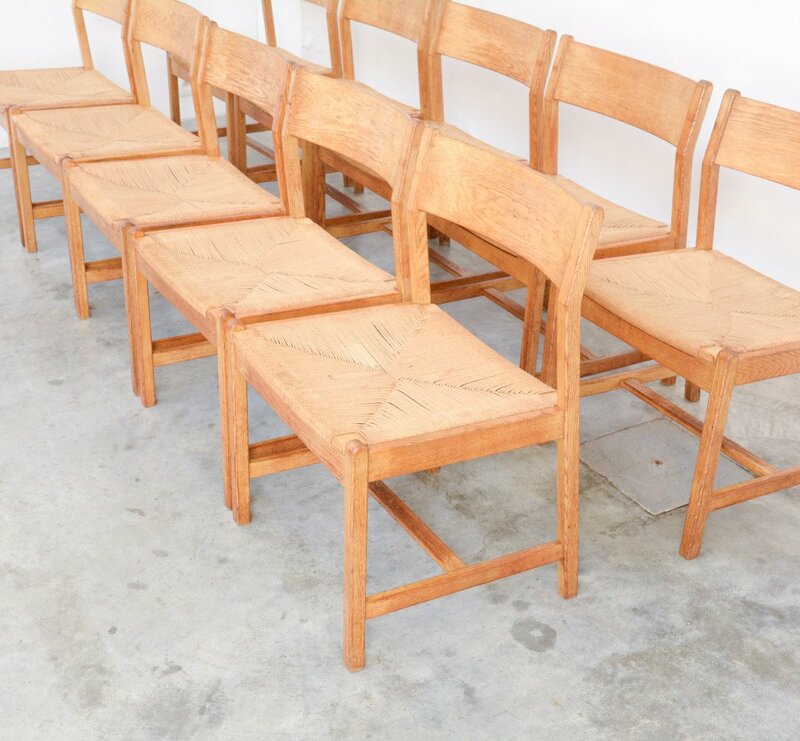 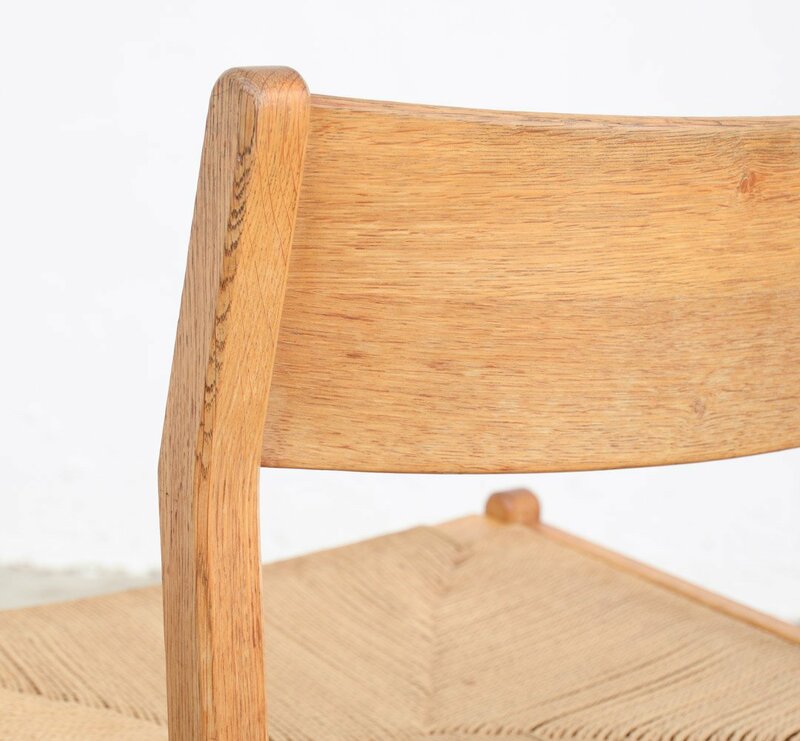 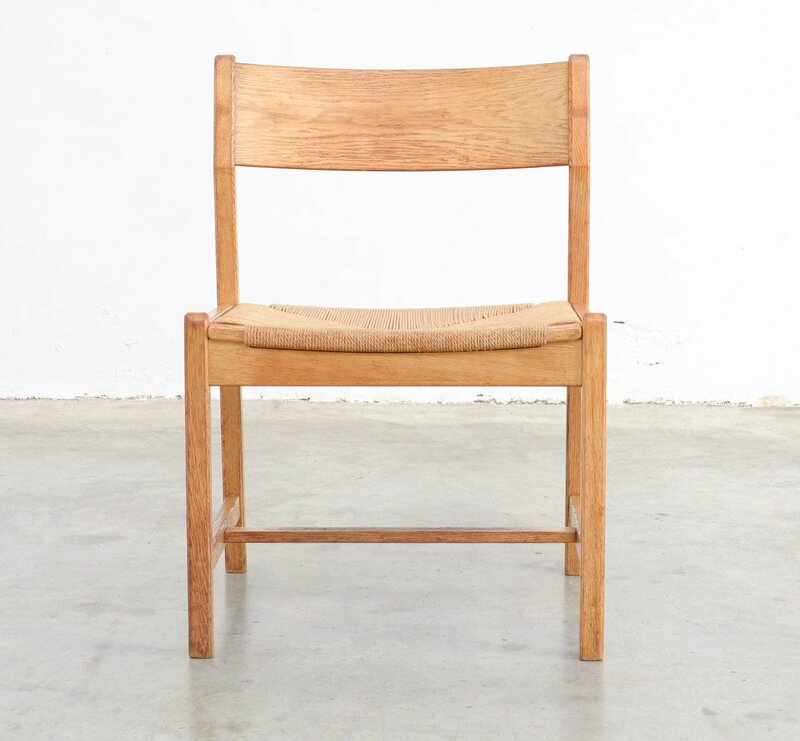 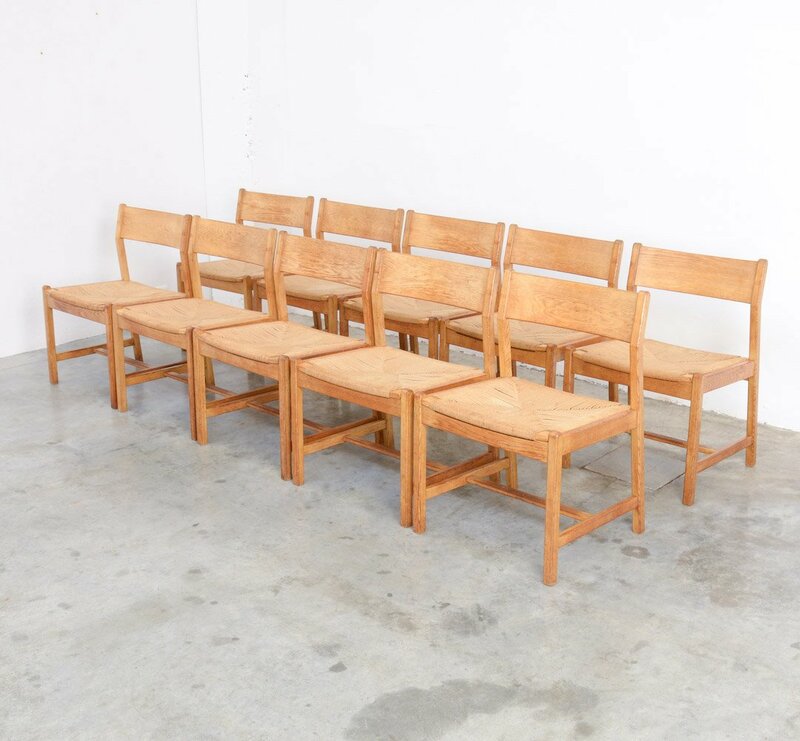 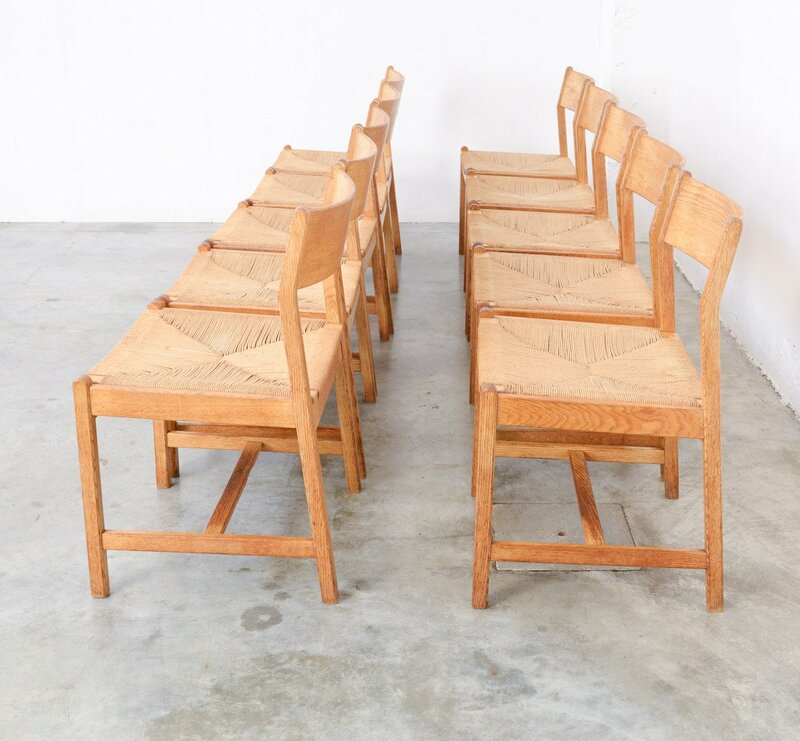 This set of ten chairs was designed by Børge Mogensen and produced by C.M. 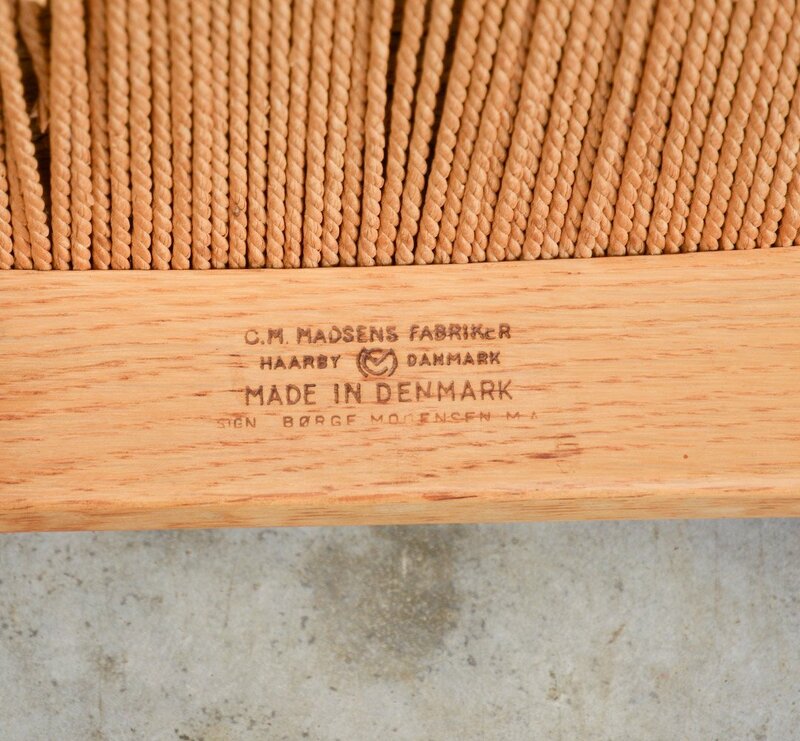 Madsens Fabrikker in Denmark in the 1960s.The chairs are pure and functional. 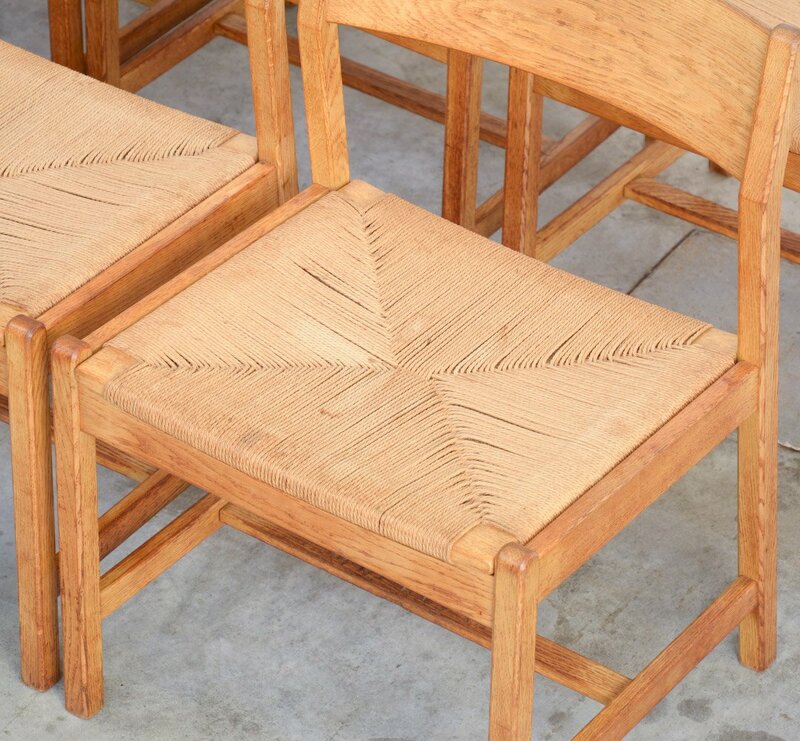 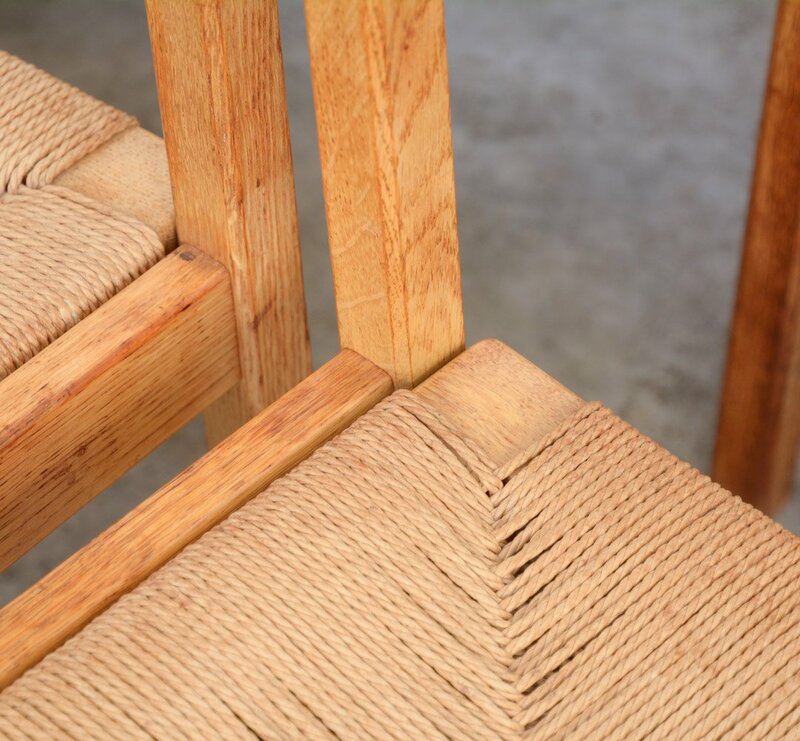 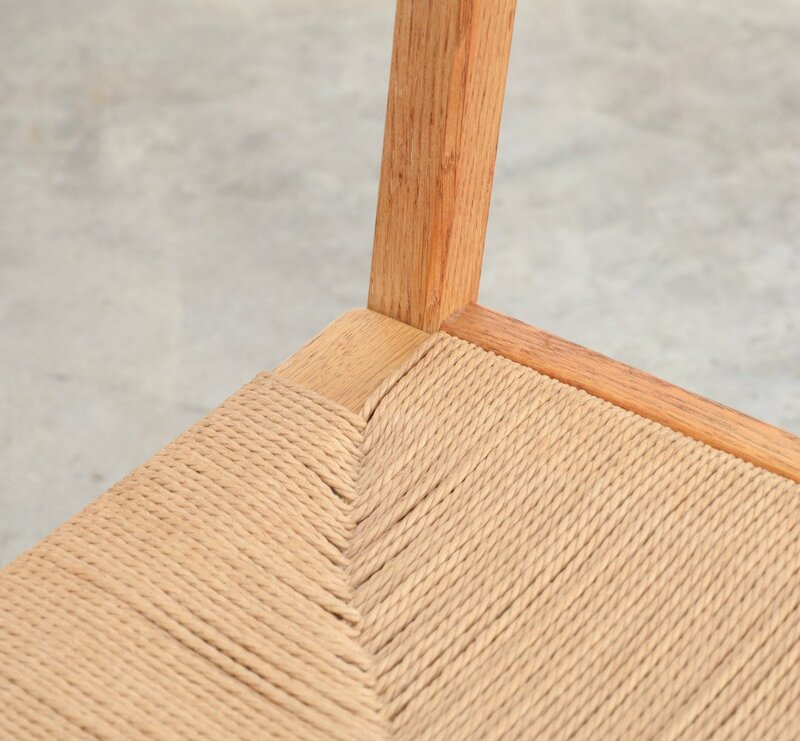 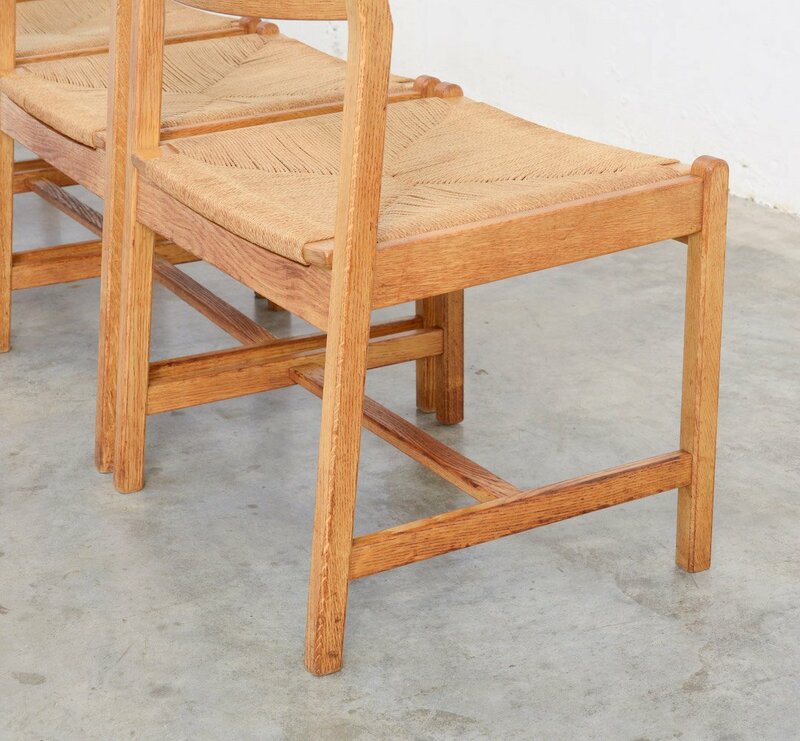 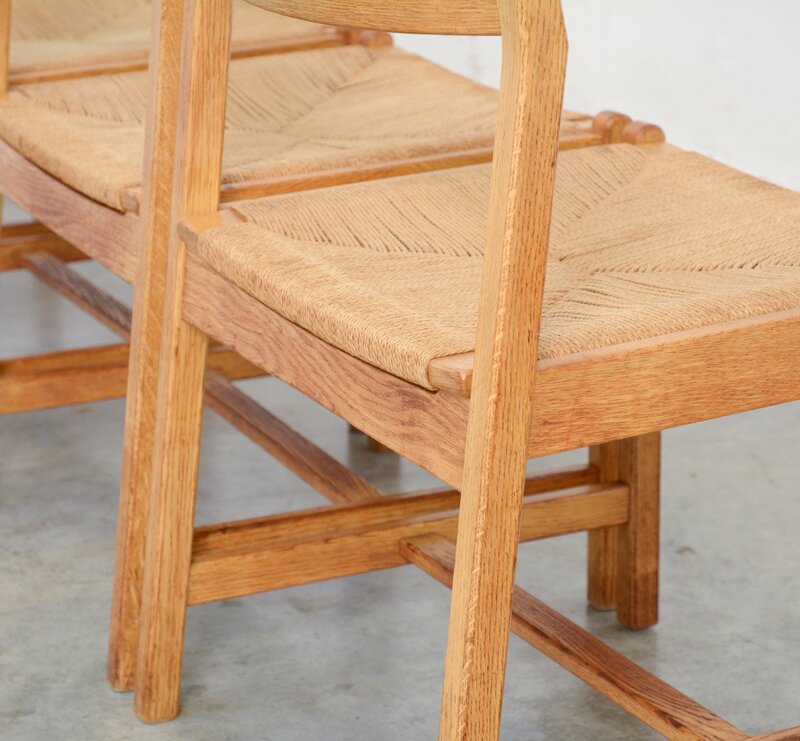 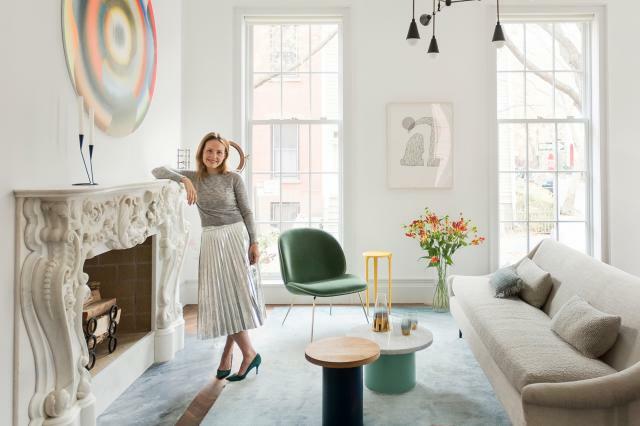 They are made from oak with woven seagrass seats. 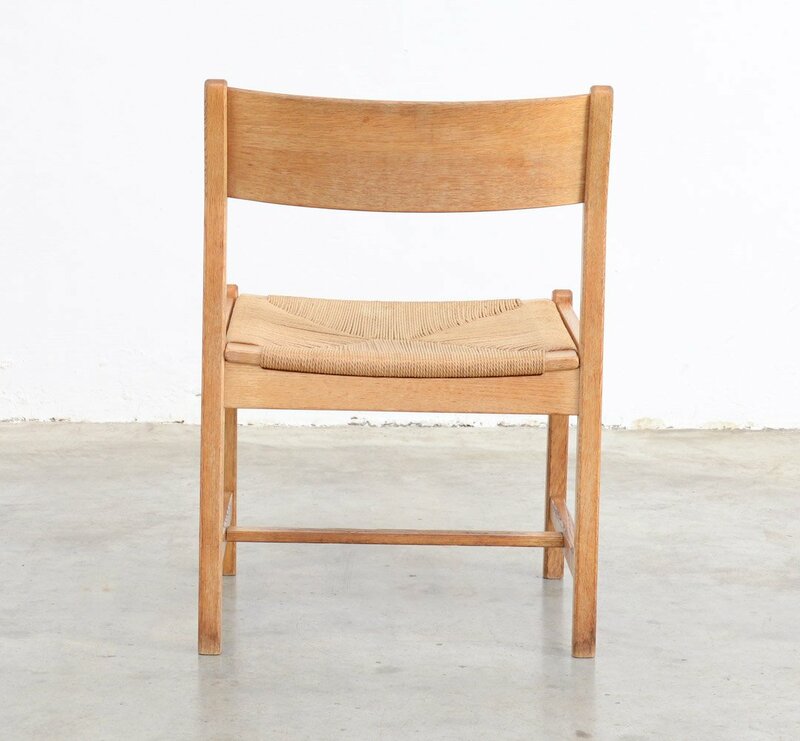 The chairs are still in very good vintage condition, with an interesting patina. 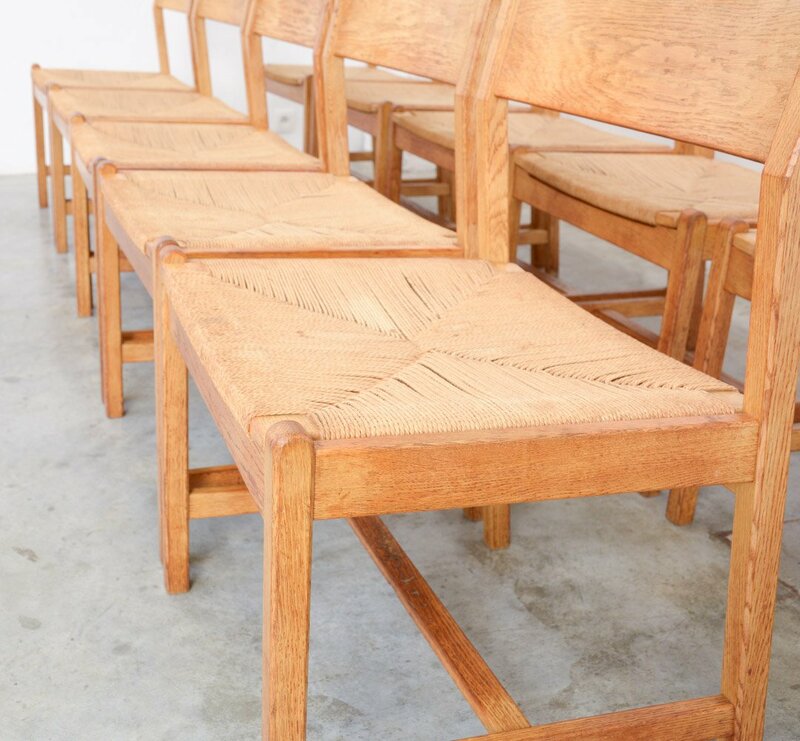 They show normal signs of age and use, with some spots on the original woven seats. 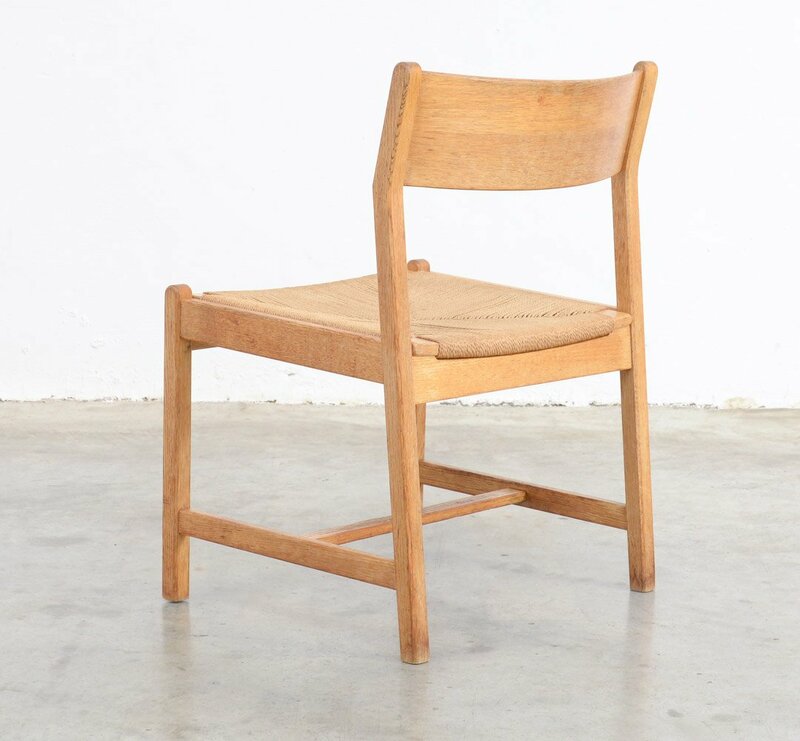 Børge Mogensen was a famous Danish furniture designer (1914-1972). 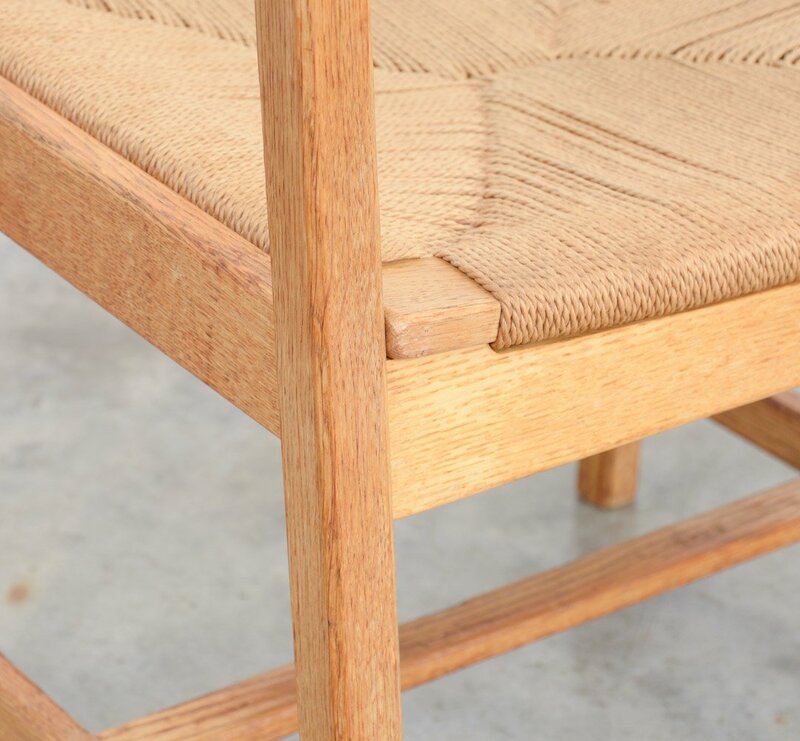 He distinguished himself with his faith to traditional values of craftsmanship and honesty of materials. 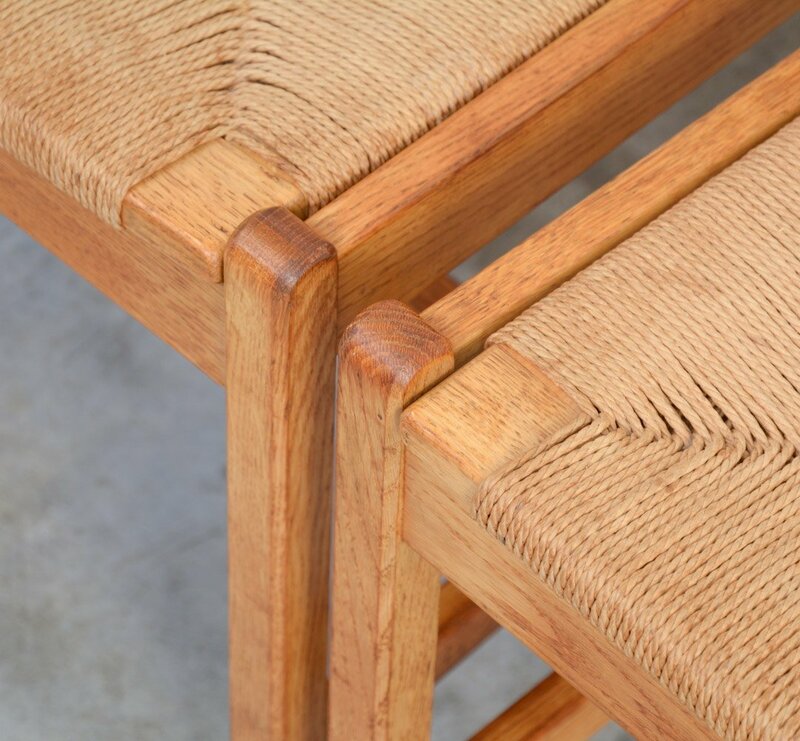 His designs are pure and highly functional. 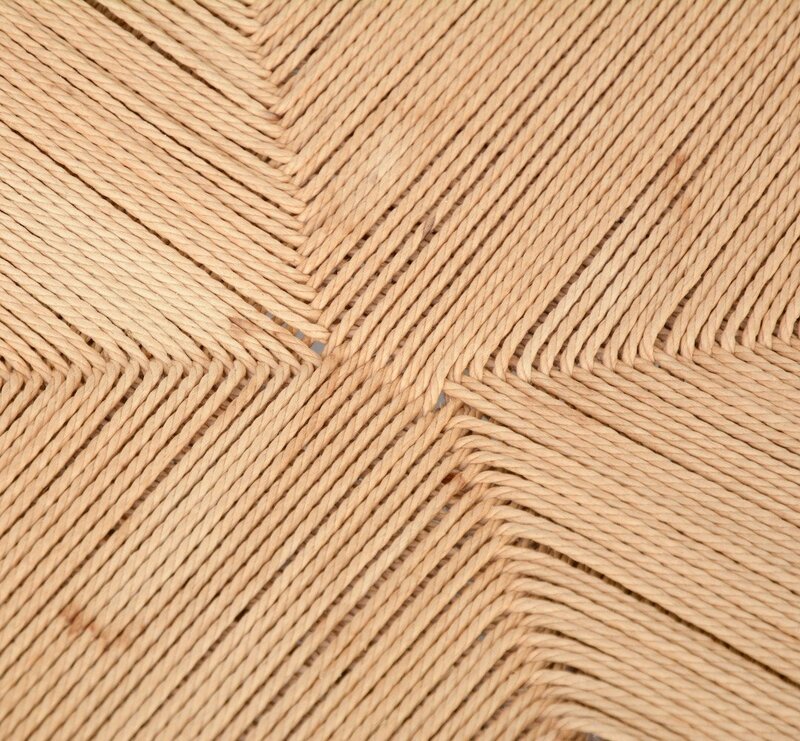 His preferred material was natural wood.